Dapto Seniors’ first home was donated by Dapto Bowling Club at least forty years ago and served its purpose until the club outgrew it. It was situated on the eastern edge of what is now the Heininger House car park. 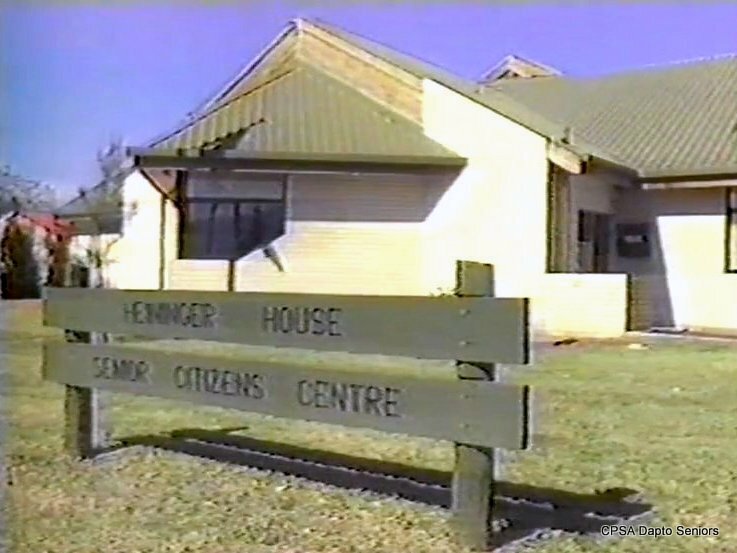 Members lobbied Council to build a new Senior Citizens Centre which resulted in Heininger House being built for Dapto Seniors and occupied in 1985. From 1985 to 2001 the seniors club managed the premises letting various rooms for community groups and people from all walks of life. It was run by a management committee comprised of a majority from Dapto Seniors and a minority representing other local community organisations. The hall was only officially opened in 1988 even though the club had been running it for three years. The management committee ran the premises at a profit and, as will be seen later, were able to hand over a considerable sum of money to the Council in 2001. In 2000 the committee was approached by Council and asked if they would like to continue running the premises after the construction of the Ribbonwood Centre was completed. At this time the construction of the Ribbonwood Centre was completely divorced from Heininger House. The management committee was unaware that the new buildings were actually going to abut the hall. Negotiations for a Council takeover commenced early 2000 and from the outset the council promised Dapto Seniors free use of the hall and all its facilities in perpetuity if management was taken over by the Council. Unfortunately a promise from the council representative that any set up would be carried out by Council free of charge was never written down. The minutes of March 1st 2001 and April 12th 2001 (Dapto seniors meetings) record a letter sent by council confirming this free use of the hall and all its facilities. Upon the handover on 1st July 2001 Council employees collected all documentation including the above mentioned letter as well as $48819.00 which had been accumulated by the management committee. NB: This information was compiled from minutes and other records of Dapto Seniors as well as the recollection of a lady who was club secretary for 17 years and a member of the management committee during the transfer to Wollongong City Council.